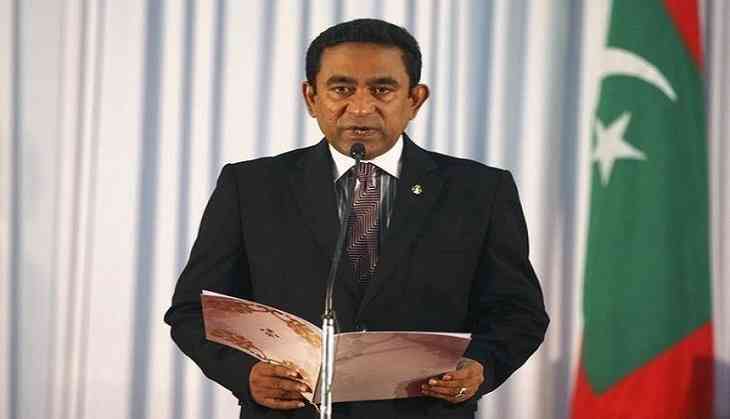 As Maldives is heading closer to hold Presidential elections, the international community has raised concern over threat to liberal democratic norms under the leadership of President Abdulla Yameen in the island nation. "The Maldivian crackdown on dissent is seen as a violation of free and fair elections, with the European Union announcing its plan to impose sanctions, ranging from travel bans to freezing assets if the Yameen Administration does not allow Parliament and the judiciary to function normally and independently", said Future Directions International (FDI), an independent, not-for-profit strategic research institute in Australia. A delegation of European officials, including Members of the European Parliament (MEP), met with Maldivian Democratic Party members last month to discuss the undemocratic trends that have been witnessed in the archipelago of late. The delegation stated that attacks on democratic principles, combined with the country's close ties to radical Islamist groups, have brought the security of European tourists, business and investors into question. The think-tank said in its research, "After the government enacted unconstitutional laws that criminalised freedom of political opinion, a state of emergency was imposed in February. This led to the arrest of political opponents, human rights activists, journalists, Chief Justice Abdulla Saeed and Yameen's political predecessor Maumoon Adbul Gayoom. These events caused international concern, with the United Nations' human rights chief, Zeid Ra'ad Al Hussein, accusing Yameen of destroying democracy." Strategically, the Maldives provides a vital link between China and Europe, and could play a key role in the Chinese Belt and Road Initiative. Nearly one-third of Chinese maritime commerce passes through Indian Ocean shipping routes. Beijing could use the strategic position of the Maldives to increase its naval presence in the Indian Ocean, which would enable it to watch over those routes, protect its energy imports from the Middle East and Africa, and balance India's influence in the region. China's objective of establishing Indo-Pacific regional dominance has led to active development in the Maldives, said the research compiled by Alex Kannegiesser-Bailey, Research Assistant, Indian Ocean Research Programme. A report by the Centre for Global Development stated that the largest Chinese investment projects include, a USD 830 million upgrade to Male's international airport which was originally granted to an Indian organisation and is on an island adjacent to the capital, and a USD 200 million bridge that will link the airport island with the capital. Chinese investment accounts for 70 per cent of the total Maldivian debt and annual repayments will reach USD 92 million, which amounts to 10 per cent of the entire budget.